MBA and M.Sc in Forestry. Romanian citizen, born and raised in NE Romania, resident of Sibiu, Romania. Alexandru began his working activity in 1993 as a construction worker and an ordnance survey assistant on a building site in Ireland. After obtaining his Forestry degree in 1995 he has worked for State forestry Company Romsilva in Suceava county at a forestry unit, as head of forest roads unit and finally of a newly established National Park. In 2003 he has started activity, as one of the managing directors, at an international Austrian-Finnish joint venture, gaining broad experience in forestry operations in CEE region. In 2005 he has completed business administration studies from Open University UK (Codecs) receiving Diploma degree. In 2006 he has started to develop an international forestry services company with clients in Austria, Germany and Sweden. 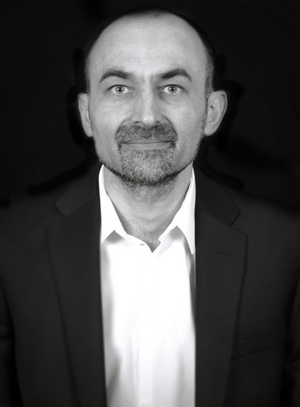 In 2008 he has brought his significant contribution, as a senior local consultant within a broader international team, to one of the most complete studies on forestry and forestry industry in Romania, delivered under coordination of European Bank for Reconstruction and Development and Romanian Ministry of Agriculture. Fluent in English and Romanian.